Gig economy businesses are underinsured. But a new niche product that capitalizes on digital connections between service providers and customers is an example of how innovative brokerages can carve out a specialized block of business that may lead to big accounts as gig startups mature. Caught up in the logistics and pressures of being self-employed, many startup entrepreneurs are not fully prepared for injuries and liability damages. 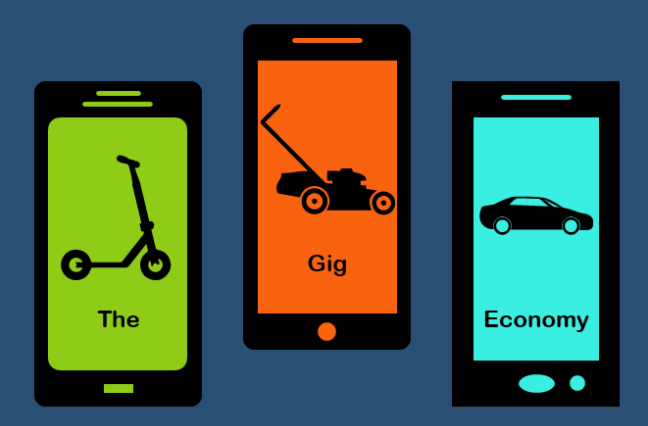 While some carriers have started to work with sectors of the gig economy, many self-employed workers still don’t know where to go for insurance or don’t have time to figure out all the logistics surrounding coverage. Tackling that time constraint and making it easy for gig economy businesses to get the right coverage are key to unlocking a growing swath of insurance customers. Brian Sandy, president of IMA Select, a subsidiary of The IMA Financial Group specializing in small business partnerships, says providing coverage in this new industry is about making things simple and short. IMA Select recently announced a new partnership with a gig economy company, Lawn Buddy, that capitalizes on the already developed relationship the platform has with its users. Through Lawn Buddy’s app, gig workers can do everything from request information and quotes to purchase insurance through IMA select. Workers can receive confirmation of insurance within one business day of the request. Lawn Buddy allows lawncare enterprises to connect with people who need their yards mowed. Through its app, Lawn Buddy also lets mowers estimate how much they should charge per lawn size, using Google maps. Lawn Buddy allows lawn care enterprises to connect with people who need their yards mowed. Through its app, Lawn Buddy also lets mowers estimate how much they should charge per lawn size, using Google maps. In the freelance sector, insurance has to become more portable and more affordable. Many gig economy workers move nomadically to find business, working across state—and even international—boundaries. YouTuber and founder of The Rideshare Guy.com Harry Campbell answers questions and educates fellow entrepreneurs on the gig economy. Along with struggling to understand what they are and are not covered for, workers in the gig economy also look for low—very low—insurance costs. According to a 2017 J.D. Power study, although the small-commercial insurance market grew in size, small-business satisfaction with commercial insurance declined 18 index points. Conversely, the satisfaction of commercial insurance for larger organizations rose 13.